The Dilly Bean's Abigail Rockmacher, Sleep in Heavenly Peace's James Welch, and Hannah Johnson and Ben Smith from ZeBra Bras. There were a bunch of interesting, worthwhile projects submitted for this year's $2,500 AOA Startup Grant. But we could only have three finalists. The hardest part of the $2,500 AOA Startup Grant contest is narrowing down the field to three finalists. That was especially true this year because there were a bunch of compelling projects. If we had five spots in the final it might not have been enough. Even so, we had to settle on three -- two picked through crowd voting, one by the editors. And here are the finalists for this year's AOA Startup Grant, sponsored by SEFCU, CDPHP, and the College of Saint Rose. Crowd voting to pick two of the finalists for this year's $2,500 AOA Startup Grant closes this Thursday, October 11 at noon, so we're a bit past the halfway point -- which is a good time to check in on the leaderboard. Here are the applications for all of this year's entries. There's also info there about voting. It's easy to do -- it's taken people, on average, less than a minute to fill out a ballot. 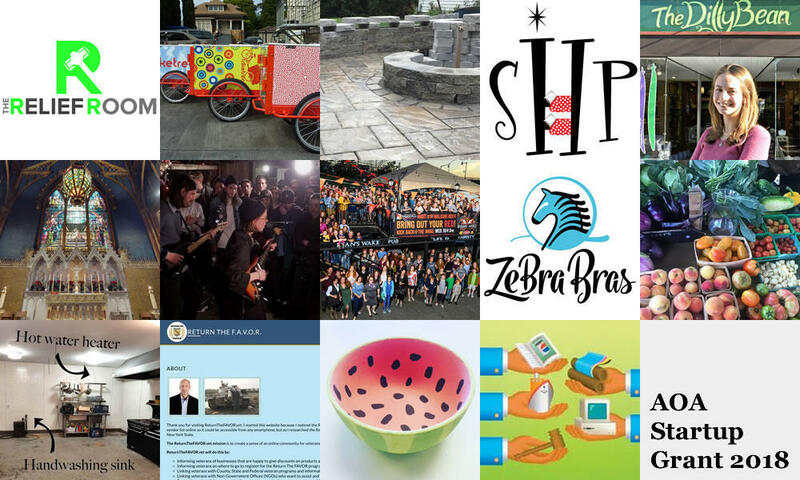 If you already have a favorite, we encourage to take a few minutes to look through some of the other projects and choose one for your second project. (You're allowed to vote for two projects.) As in years past, there are a lot of interesting projects worth some attention. Thank you to everyone who's applied. And big thanks to SEFCU, CDPHP, and the College of Saint Rose for sponsoring this year's contest! Voting is now open for the 2018 AOA Startup Grant! Here's the ballot! Three finalists will be chosen to compete for the $2,500 prize. Crowd voting will pick two of the finalists, the AOA editors will pick the third. Voting closes October 11 at noon. The finalists will make presentations to a panel of judges on October 25, and the panel will pick the winner. There are a bunch of very strong contenders this year. It might be the best field we've ever had, full of interesting projects. Go have a look at the applications. Big thanks to SEFCU, CDPHP, and the College of Saint Rose for sponsoring this year's contest! 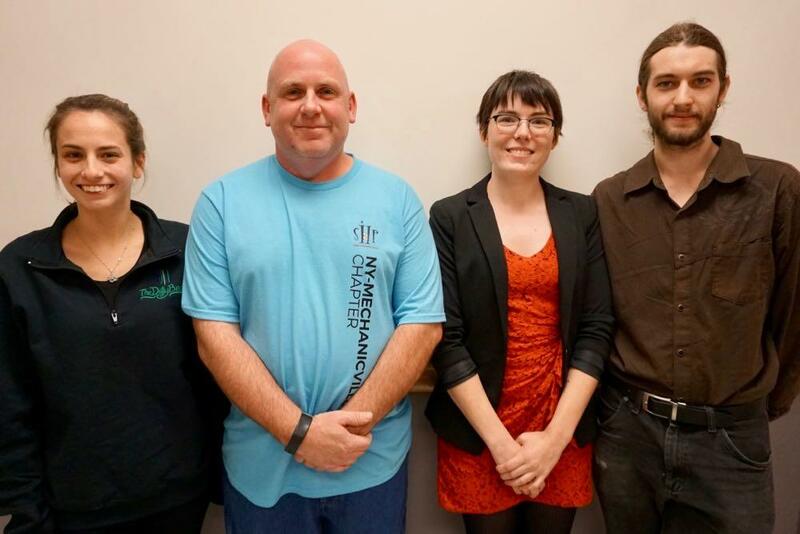 + Chateau Shows - A DIY community music and arts venue startup initiative for the enrichment and enhancement of the Capital Region's cultural ecosystem and creative economy. + The League of Extraordinary Red Heads - A social events group for people with red hair that's looking to establish chapters around North America. + ZeBra Bras - A custom bra company which uses 3D imaging and printing to produce unique products. + 2nd Street Farm - An urban farm in South Troy with a farm stand and farm share that's looking to expand. + Mount Ida Community Kitchen - A commercial incubator kitchen to suit the growing needs of small business owners and organizations of the Mt. Ida and greater Troy community. + Return The FAVOR - A website and phone application to allow veterans easy access to local discounts and veteran information anywhere around New York State. + Piéce d'Occasion - A paint-your-own-pottery studio that is looking to bring it programming to schools and provide a low-cost space for trips. + Infinity Trade Consultants - A company that hosts an e-commerce site for global business-to-business bartering and is looking to introduce the benefits of the bartering marketplace to small businesses in the Capital District. This group joins The Relief Room, Market Pops, Katahdin Stone Works, The DillyBean, Sleep in Heavenly Peace, and Hudson Virtual Tours, which were already posted. Crowd voting for two of the three finalists will start Monday afternoon. And you can be sure we'll let you know about it. The AOA Startup Grant is $2,500 in cash for people to use however they like for their project. This year's contest is sponsored by SEFCU, CDPHP, and the College of Saint Rose. + Katahdin Stone Works - A hardscaping and landscape construction services company (think patios, fire-pits, retaining walls, etc.) that is looking to become the leader in the area for environmentally friendly permeable pavement installations. 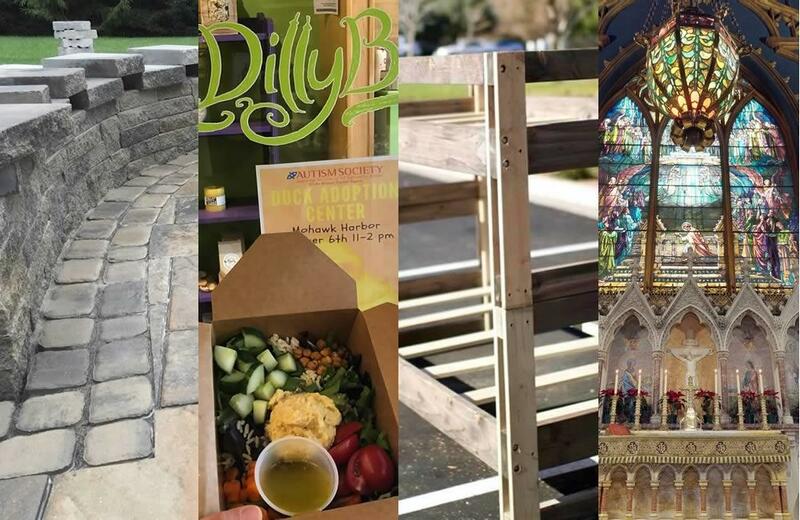 + The DillyBean - A local market in downtown Schenectady that has a goal to promote and supply locally-made goods to Capital District residents at a dedicated, convenient location. + Sleep in Heavenly Peace - A local chapter of a national effort to build beds -- and provide sheets, blankets, and other bedding -- to children who are in need. + Hudson Virtual Tours - A local company that wants to provide reality capture of Capital Region historic sites for 3D tours, HDR photos, and architectural plans. This group joins The Relief Room and Market Pops, which were already posted. (Because they got their entries in first.) And there a bunch more that will be posted soon. Crowd voting for the two of the three finalists for the $2,500 cash prize will open on Monday around noon. We will, of course, let you know about that. * Pretty much every year the majority of entries arrives in the last few hours before the deadline. The first two entries for this year's AOA Startup Grant are posted, and the deadline to enter is almost here! You have until 11:59 pm Wednesday night! 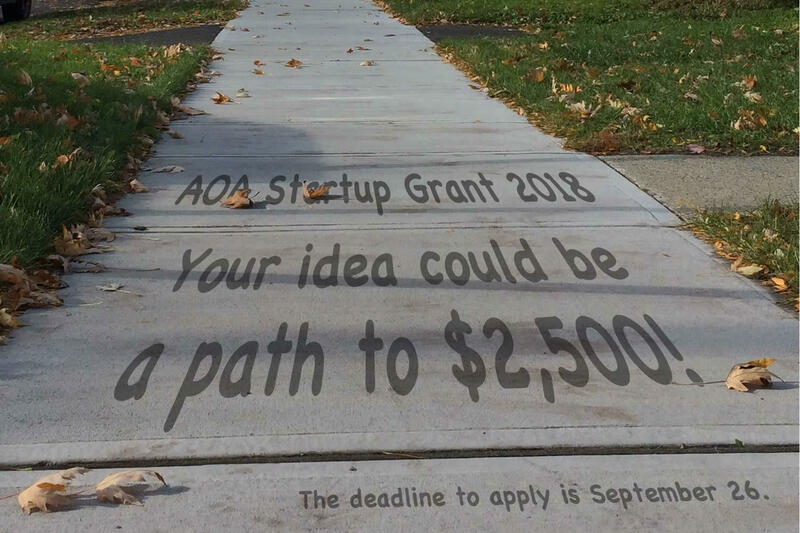 The deadline for entering this year's $2,500 AOA Startup Grant contest is tonight (Wednesday, September 26) at midnight. You should apply. Here's how to do that. The application process isn't long. + The Relief Room - An establishment in which people will be able to relieve stress by breaking and smashing recyclable items. The pieces will then be turned into art. + Market Pops - A mobile, pop-up popsicle shop that sells fresh, small batch popsicles in unique flavor combinations. Entries are posted and listed on the startup grant site in the order they're received, which can be a help when crowd voting for two of the three spots in the final opens next week. The deadline to apply for this year's $2,500 AOA Startup Grant is this week! And you should apply! Yes, you! How's that entry for this year's AOA Startup Grant coming along? The deadline for entering this year's $2,500 AOA Startup Grant contest is this Wednesday, September 26 at midnight. You should apply. Here's how. THE DEADLINE FOR ENTERING THIS YEAR'S $2,500 AOA STARTUP GRANT IS THIS WEDNESDAY, SEPTEMBER 26 AT MIDNIGHT. YOU SHOULD APPLY. HERE'S HOW. We'll again be awarding $2,500 in cash to help a new local project get off the ground, or take an existing small business idea to the next level. This year's contest is sponsored by SEFCU, CDPHP, and the College of Saint Rose. Yep, $2,500 in cash to use however you like for your project. Applications are posted here on AOA in the order they're received, so the earlier you apply the higher your app will appear in the listing. That can be a help in the crowd voting to determine two of the three finalists. The AOA Startup Grant is back this fall -- with a $2,500 prize -- and the time to apply is now! The AOA Startup Grant is back for 2018!!! This fall we'll again be awarding $2,500 in cash to help a new local project get off the ground, or take an existing small business idea to the next level. This year's contest is sponsored by SEFCU, CDPHP, and the College of Saint Rose. The startup grant has been one of our favorite AOA events because it's also an opportunity to get a look at some of the good, early-stage ideas that are in progress around the area and shine some attention on them. And of course, as in years past, you will get to help decide who gets the funding through the crowd vote for two of the finalists. So we're excited to get things started.